We are proud of our collaboration with Cardiff Metropolitan University and being part of the IPHP. This programme is an effective interdisciplinary partnership that demonstrates evidence based improvements in wild animal welfare and conservation. This is unfortunately rare. The IPHP provide a programme of science based investigation in a conservation concern – cardiac health in great apes. But more importantly, it acts as a model of proof that respectful, insightful and open collaboration yields rapid and helpful results and an opportunity for all partners to improve their knowledge and skills, to collectively improve the health, welfare and conservation of great apes. In July 2013 we had the privilege to work together with Aimee Drane and Robert Shave of the International Primate Heart Project from Cardiff Metropolitan University. They did some heart research on two gorillas in our zoo, who were put under anesthesia for other reasons. Both Aimee and Rob are very professional people and we were impressed with the professional attitude and speed with which they did their work. Furthermore, they are also very passionate about their work and the animals involved. 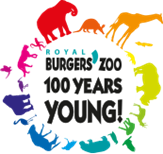 We, here at Burgers’ Zoo (Arnhem, The Netherlands), want to recommend this project wholeheartedly! The ZSL vet team has been working with Prof. Robert Shave and his team ever since the beginning of the project and have built a very close collaboration. We have been working together trying to understand normal and abnormal cardiac phenotypes and to determine normal reference ranges for cardiac structure, function, biomarkers and electrical conduction in the great ape species. This is essential for the early diagnosis and treatment of cardiac disease. As well as providing reference data, the IPHP cardiac assessments have improved individual health and welfare of two of our chimps at ZSL from a group with known history of sudden cardiac death. They have been fitted with implantable ECG recorders to improve cardiac monitoring and to identify whether significant arrhythmic burden exists that would benefit from pharmacotherapy. It is a pleasure to work with the IPHP and I believe that this is a model that demonstrates how open collaboration between specialists from different backgrounds can result in significant advances in zoo and wildlife medicine. © 2019 International Primate Heart Project.